The all-new blockbuster hit THE SPONGEBOB MOVIE: SPONGE OUT OF WATER is arriving on Blu-ray Combo Pack, Blu-ray 3D™ Combo Pack, DVD and VOD June 2, 2015 from Paramount Home Media Distribution. Hailed as “laugh-out-loud funny” (Examiner) and “the best family film of the year” (Fanboy Nation), the wildly entertaining adventure arrives two weeks early on Digital HD May 19th, 2015. Extras Galore when you buy the Movie Combo Pack!!! - A Digital Version of the film that can be accessed through UltraViolet™, a way to collect, access and enjoy movies. With UltraViolet, consumers can add movies to their digital collection in the cloud, and then stream or download them—reliably and securely—to a variety of devices. - Eight exciting featurettes that take you from Bikini Bottom to the surface, deleted scenes and more. 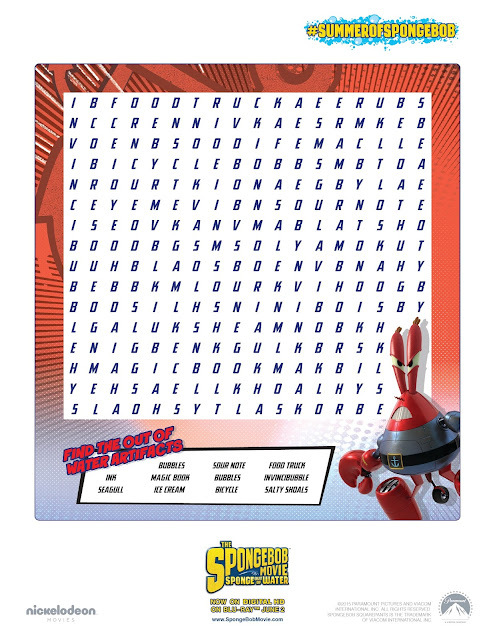 If you love a good word search and know your SpongeBob trivia, be sure to check out this fun SpongeBob Movie Wordsearch available at this link. 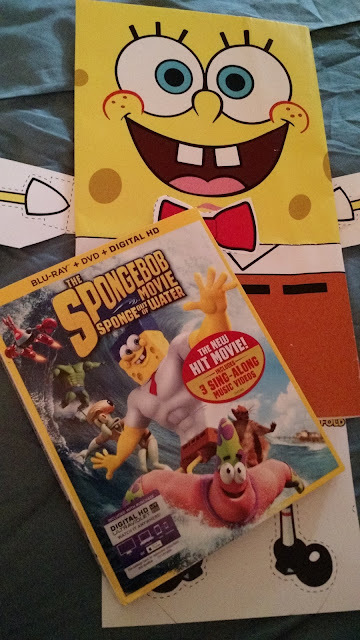 One (1) FREEISMYLIFE reader will WIN The SpongeBob Movie: Sponge Out of Water Blu-Ray Combo Pack - A $23 VALUE - HOLLA!!! - The contest ends on Tuesday, June 2, 2015 at 11:59am EST. - Prize fulfillment will be completed by the PR company for Paramount Pictures and the #SummerofSpongeBob promotion. - Each household is only eligible to win One (1) Blu-ray The SpongeBob Movie: Sponge Out of Water via blog reviews and giveaways. Only one entrant per mailing address per giveaway. If you have won the same prize on another blog, you will not be eligible to win it again. Winner is subject to eligibility verification. - You can get 1 extra giveaway entry for following SpongeBobMovie on Facebook. 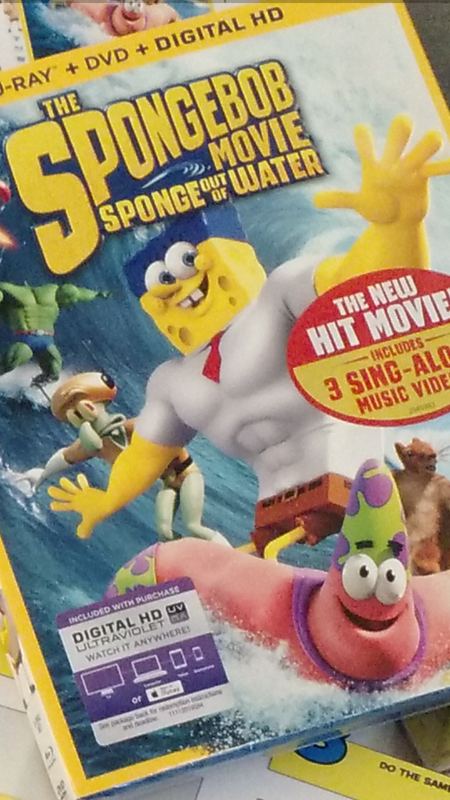 - You can get 1 extra giveaway entry for following SpongeBobMovie on Twitter. - You can get 1 extra giveaway entry for tweeting the following message on Twitter " I entered to WIN The @SpongeBobMovie Sponge Out of Water Blu-ray Combo Pack on @freeismylife http://ow.ly/NwjHi"
Random.org has spoken! Out of 209 entries, Random.org has picked #133. Congratulations to the winner of The Spongebob Movie: Sponge Out of Water - Robert M. of Oaklyn, NJ!! !